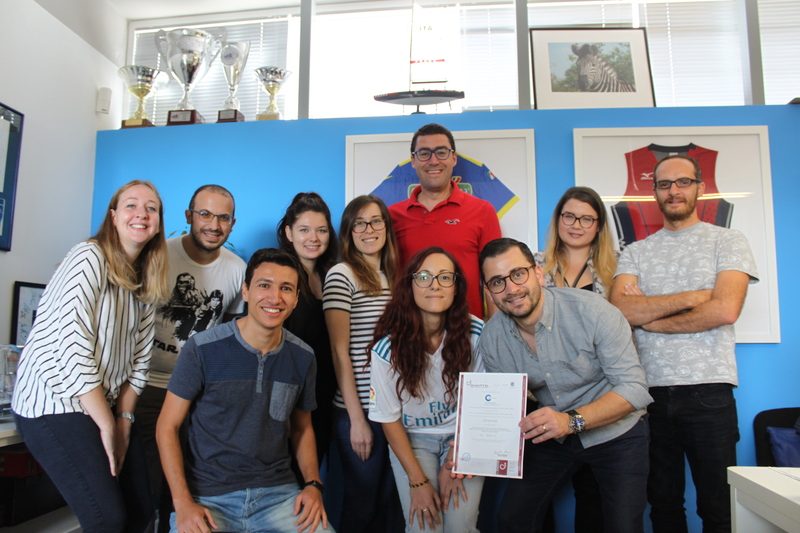 The Concept Stadium, a boutique marketing consultancy firm which offers a personalized service with a sporty and energetic twist, successfully passed the renewal audit for ISO 9001:2015 standard certification for the provision of brand conceptualisation and management; marketing, business and public perception consultancy services; web development; and IT development. In addition, following the surveillance audit for ISO 9001, the company has successfully transitioned to the new version of the ISO 9001:2015 standard. The certification has been renewed through persistence and hard work, while making sure that all the Concept Stadium’s operations are streamlined – from client acquisition and acceptance, to project briefs, idea generation, conceptualisation, design, execution and billing and other administrative processes. ISO 9001 is a standard defining corporate Quality Management System (QMS) requirements. Certification to ISO 9001 creates a systematic framework in which organisations drive continual improvement. One of the certification’s major strengths is its wider appeal for all types of organizations. Its focus on processes and customer satisfaction rather than procedures means it is very much applicable to service providers.